Model Predictive Control Toolbox™ provides functions, an app, and Simulink® blocks for designing and simulating model predictive controllers (MPCs). The toolbox lets you specify plant and disturbance models, horizons, constraints, and weights. By running closed-loop simulations, you can evaluate controller performance. You can adjust the behavior of the controller by varying its weights and constraints at run time. To control a nonlinear plant, you can implement adaptive and gain-scheduled MPCs. 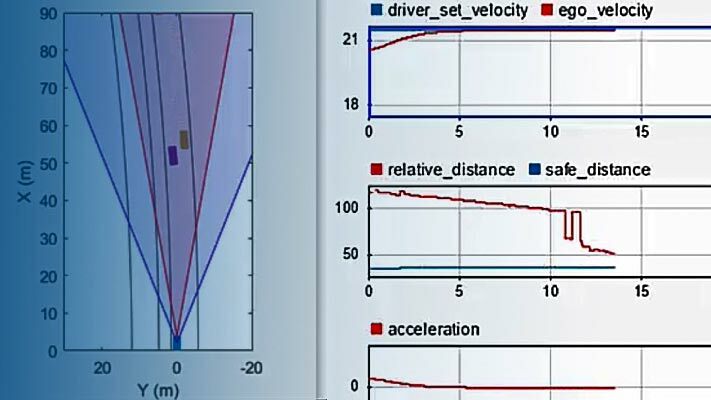 For applications with fast sample rates, you can generate an explicit model predictive controller from a regular controller or implement an approximate solution. For rapid prototyping and embedded system implementation, the toolbox supports automatic C-code and IEC 61131-3 Structured Text generation.